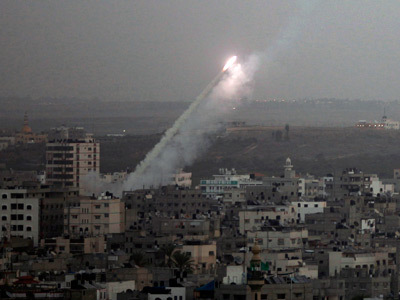 A Palestinian man was killed by errant gunfire celebrating the end of the eight-day Israeli bombardment of Gaza. 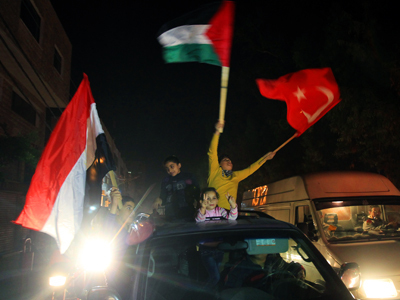 Three were also wounded as tens of thousands of Palestinians celebrated in the streets following the announcement of a truce. 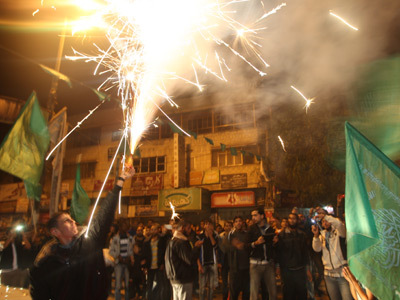 A spokesperson for the Gazan Health Ministry confirmed that one man had been killed by stray gunfire and three more injured as revelers fired their weapons into the sky to celebrate the Israeli-Palestinian ceasefire. 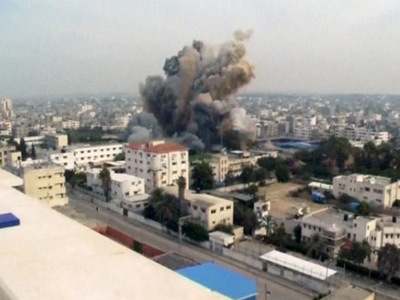 Health Ministry representative Ashraf al-Qidra appealed to the people of Gaza to refrain from firing guns into the air. Hostilities were closed Wednesday night following eight days of fighting sparked by the IDF assassination of Hamas military leader Ahmed Jabari last Wednesday. The conflict has killed over 140 Palestinians and five Israelis. Palestinians hailed the peace accord as a victory by Hamas in forcing Israel to cease its eight-day ‘Pillar of Defense’ assault on Gaza. Israeli Prime Minister Benjamin Netanyahu said he supported the ceasefire since the IDF had achieved its “pre-determined objectives” and inflicted considerable damage on Hamas. The Israeli military announced that it eliminated over 1,500 "terror sites" and killed 30 senior operatives during the operation. The truce stipulates the immediate cessation of hostilities on both sides and states that the Gaza border crossings should be opened to allow the free movement of goods and people. Israel, however, did not make any pledge to lift its blockade of Gaza, one of the Palestinians’ key demands.